Milwaukee Mi412 Phosphate Low Range Photometer, 192mm Length x 104mm Width x 52mm Height, 0.00 - 2.50 mg/L, 0.01 mg/L Resolution, LCD Display is designed as per the latest industrial needs. 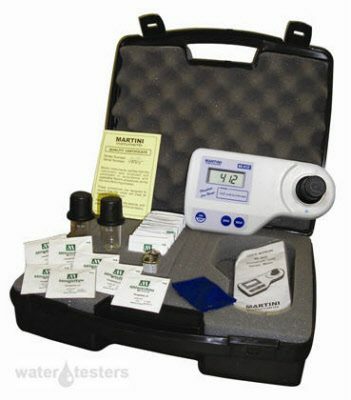 This user-friendly Colorimeters will give you direct readings in mg/L. Phosphates are present in natural waters and at concentrations typically found, do not pose any specific health threats to humans. However, excessive contamination of water courses from agricultural fertilizer run off or wastewater/effluent discharge can promote excessive algae or plant growth.